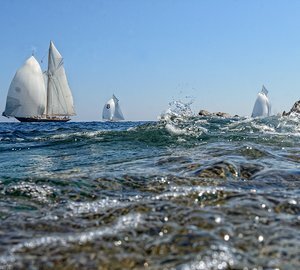 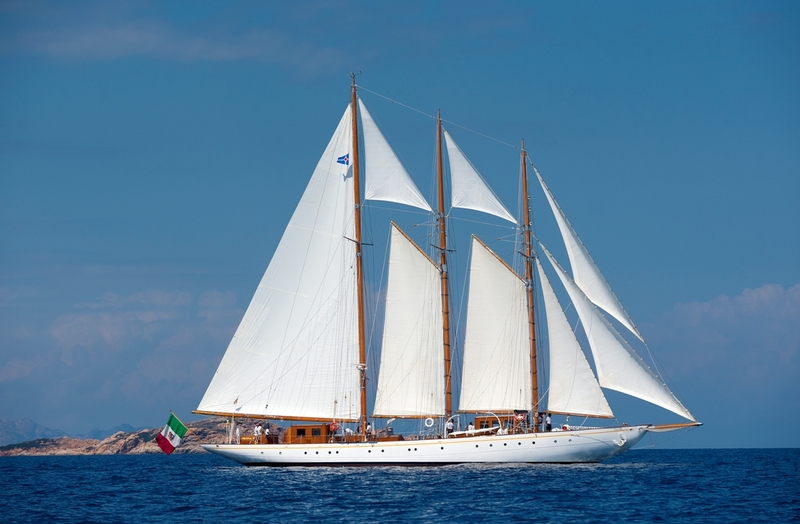 Classic sailing yacht CROCE DEL SUD (translated to Southern Cross), measures 42m (137,10ft) and was designed Nicholas Martinoli with collaborative design by Gino Treleani and built by Cantiere Martinolich in Lussinpicocolo, Istria in 1933. 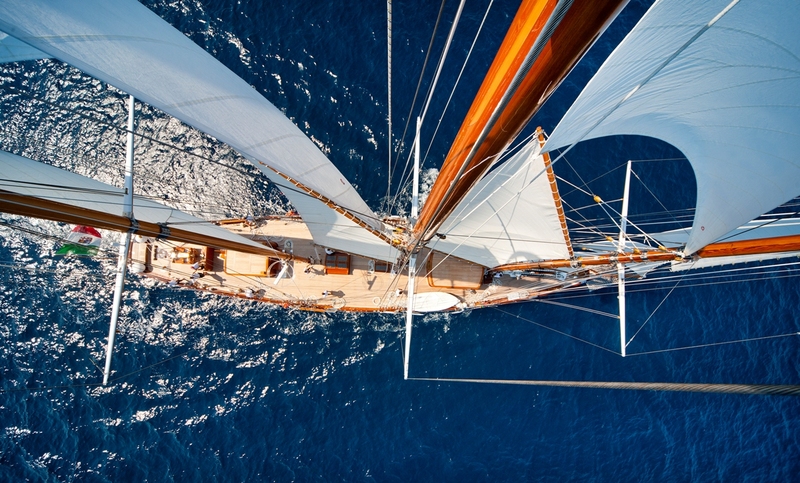 S/Y CROCE DEL SUD underwent a major 3-year refit, completed in 2011, bringing her systems up to date, while retaining many of the original features. 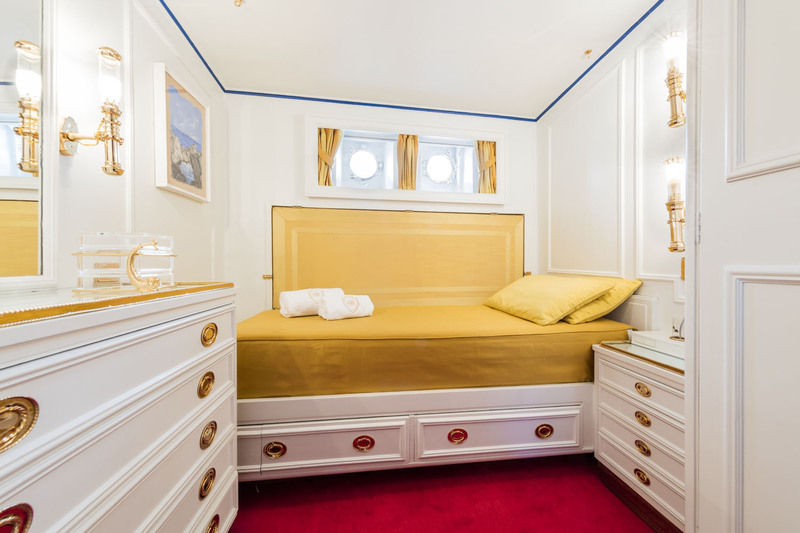 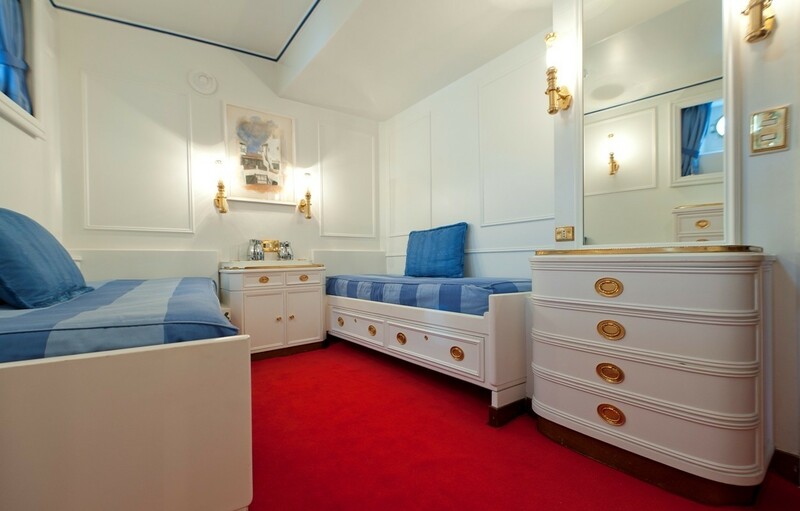 She accommodates up to 10 charter guests, in 5 stylish deluxe cabins. 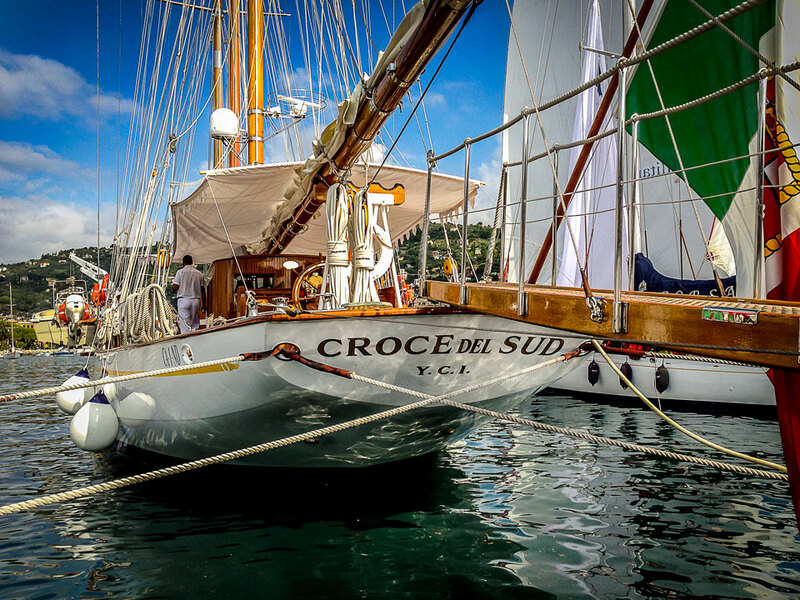 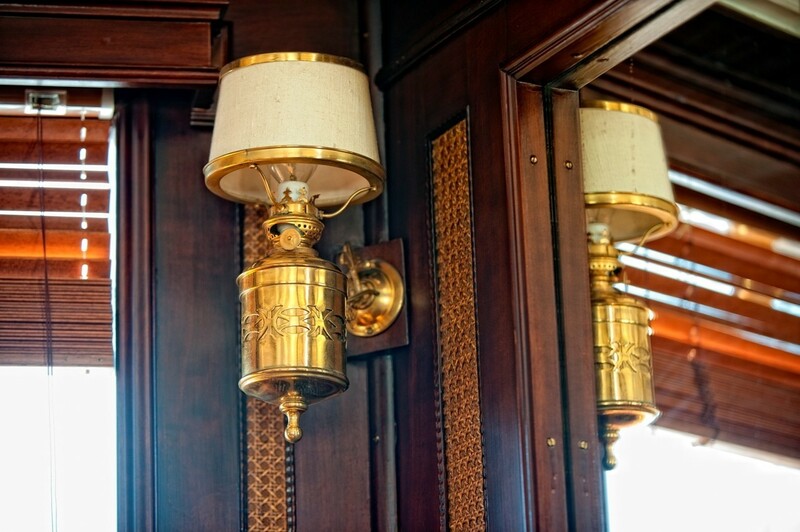 Sailing yacht CROCE DEL SUD (ex Croix du Sud) has a traditional interior décor, boasting the stately era she so elegantly portrays. 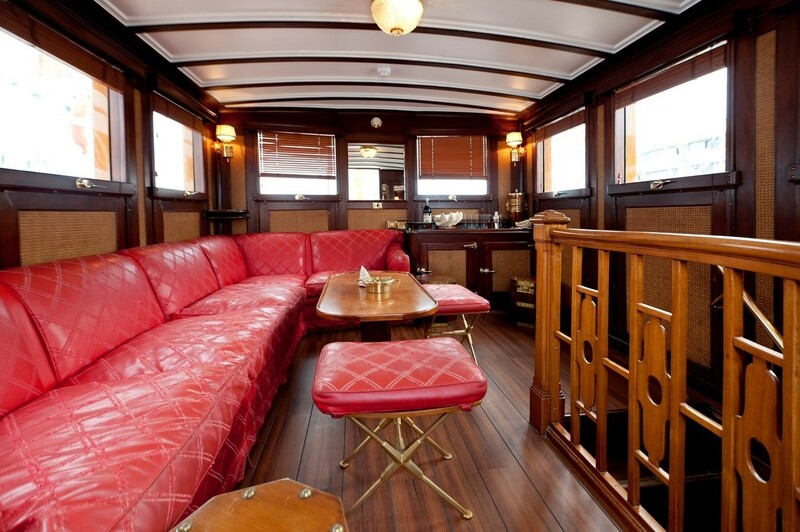 An upper lounge has a relaxing leather suite, tables, wet bar and spectacular views. 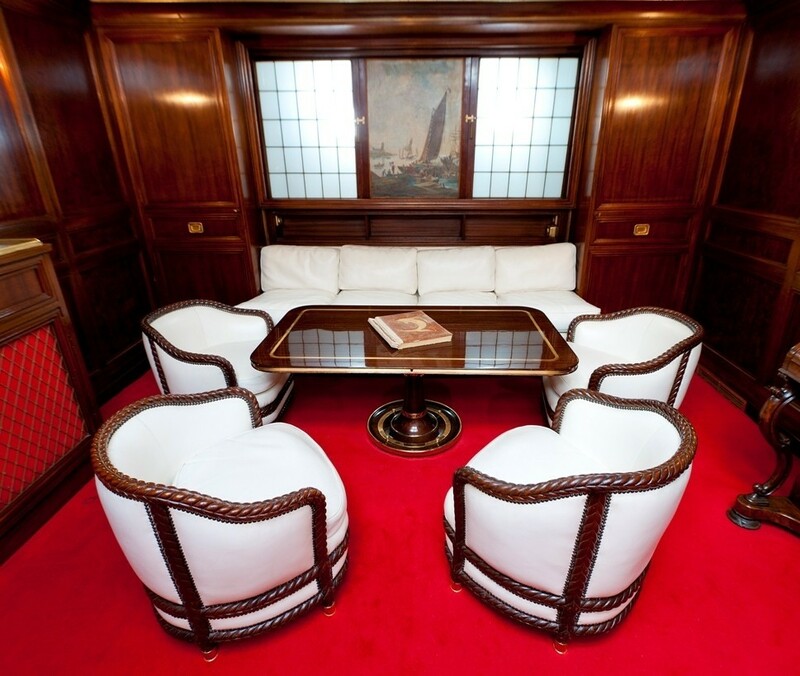 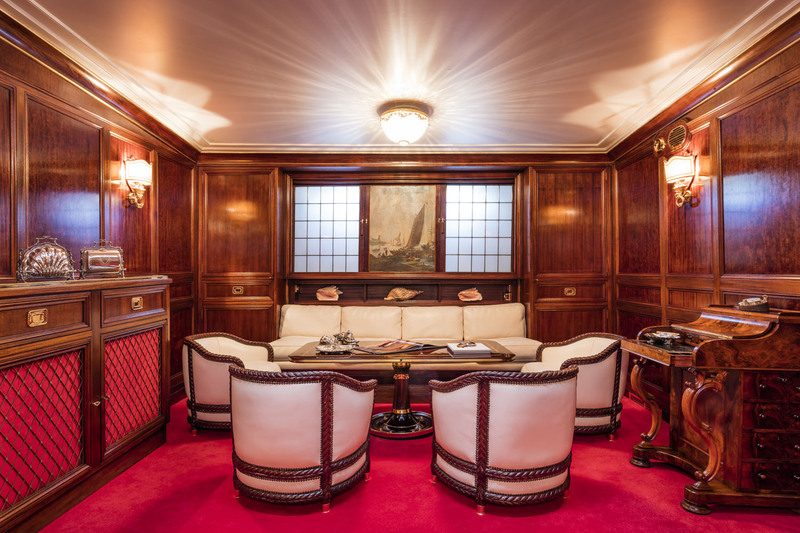 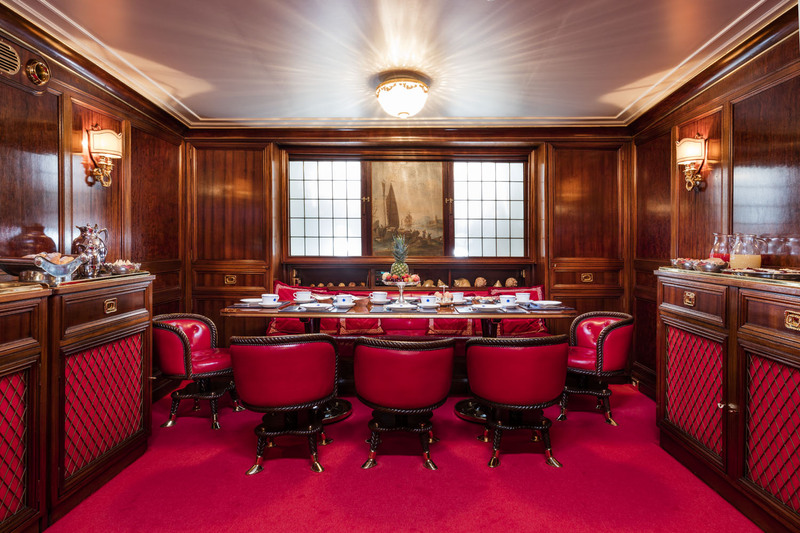 Below decks, the fully air-conditioned sailing yacht CROCE DEL SUD boasts a further salon, warm mahogany wood panels, traditional furnishings and exquisite fixtures and fittings. 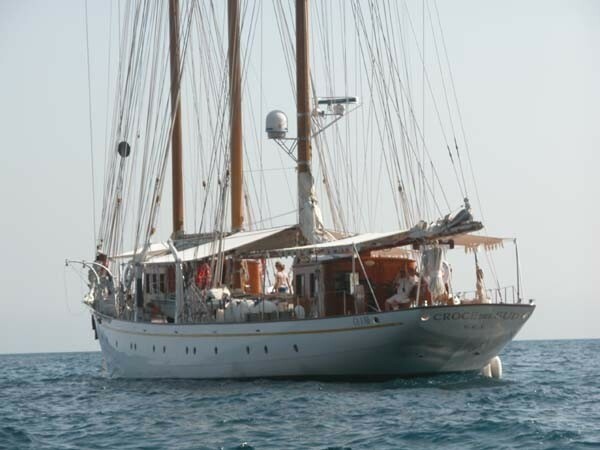 On deck, this spruce rigged triple masted schooner has ample exterior living on fine teak decks. 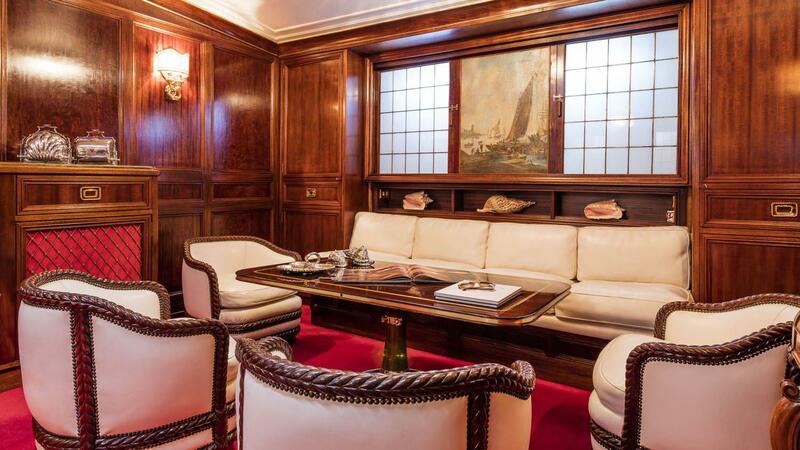 Aft is the helm and enclosed chart room and state of the art navigation station. 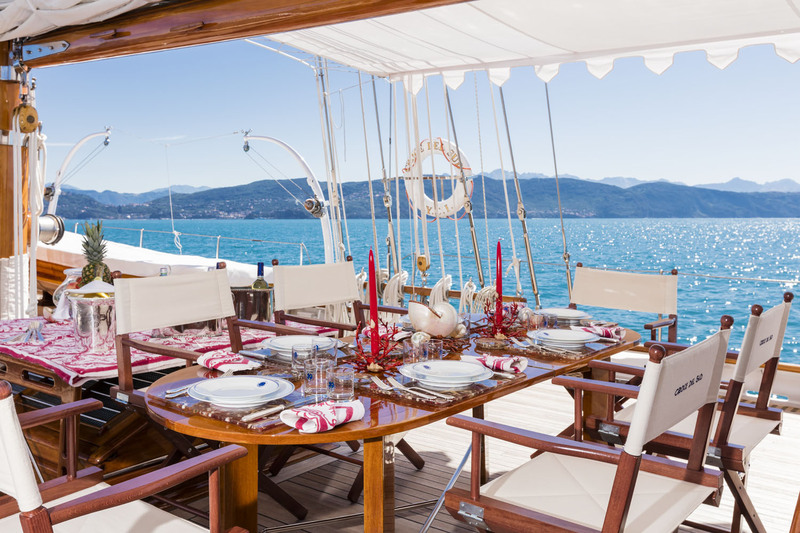 From the stern to the bow and with a beam of 7.8m (25.5ft), the sailing yacht CROCE DEL SUD features an abundance of areas to relax, entertain and dine alfresco. 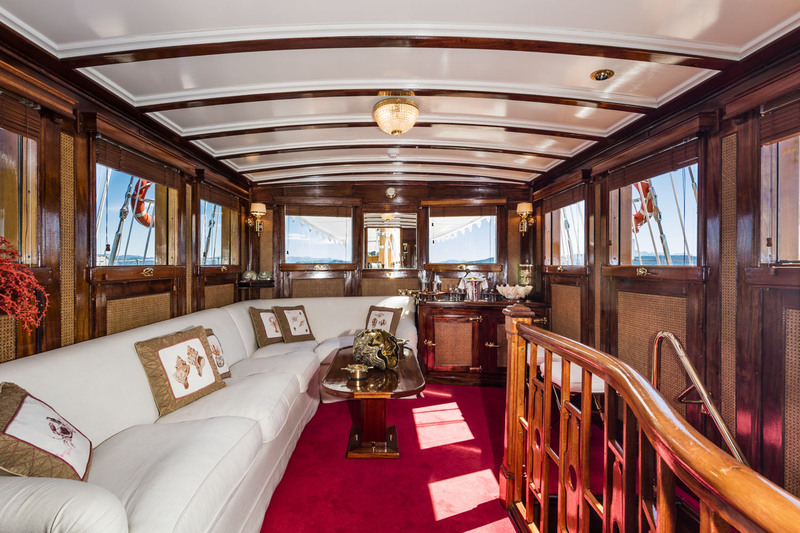 She has remained in the same family for generations, her beauty and grace are so evidently adored by her owner and professional crew. 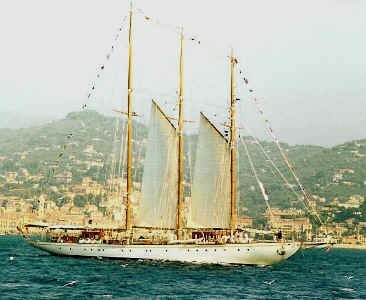 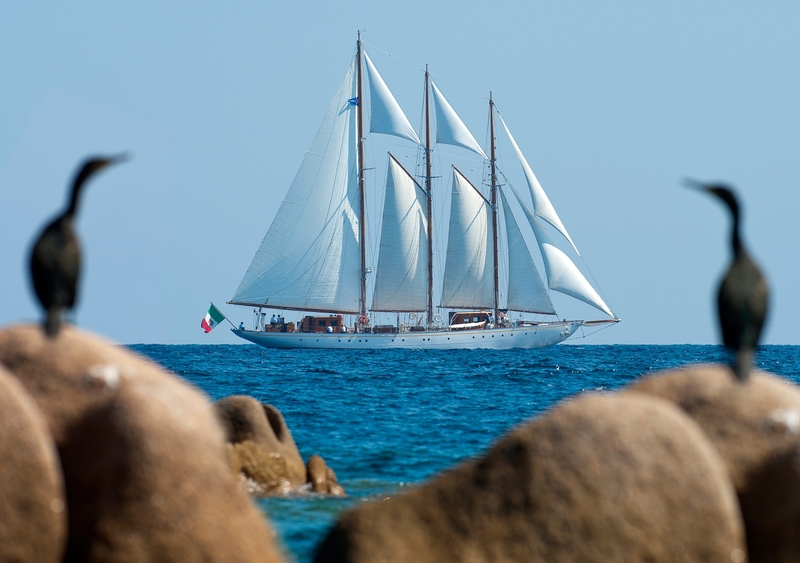 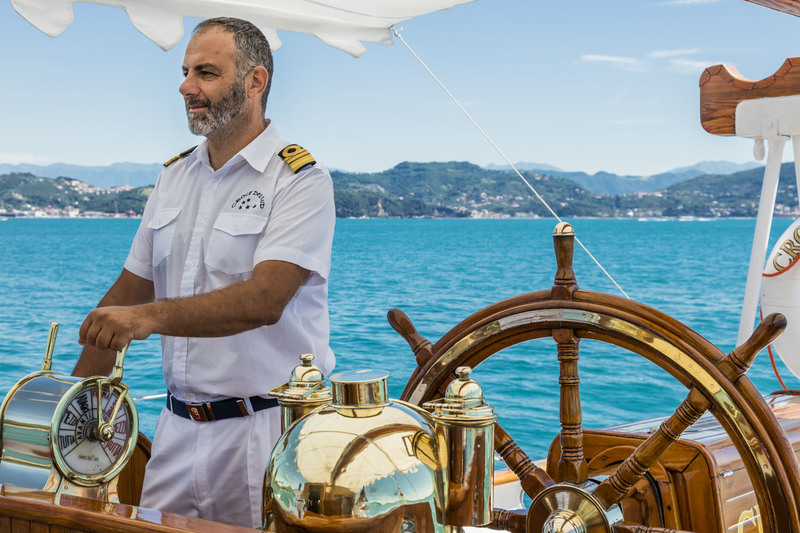 Powered by 2 x MAN engines when not flying sails, CROCE DEL SUD is capable of 10 – 12 knots. 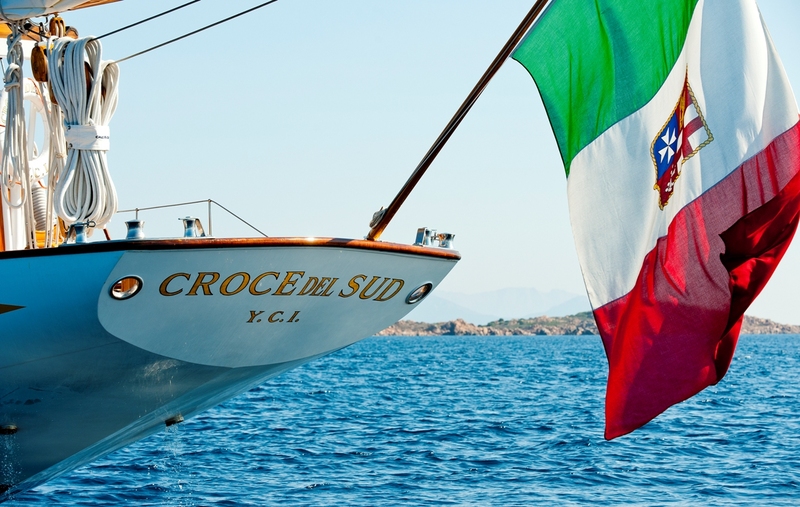 "She's going on for eighty, but She has the sassiness of an eighteen-year-old, and the mature beauty of a real queen of the sea," says her Captain, Andrea Coscia who was at the helm of the Croce del Sud in the days of the Veteran Big Boat Rally of September 2011. 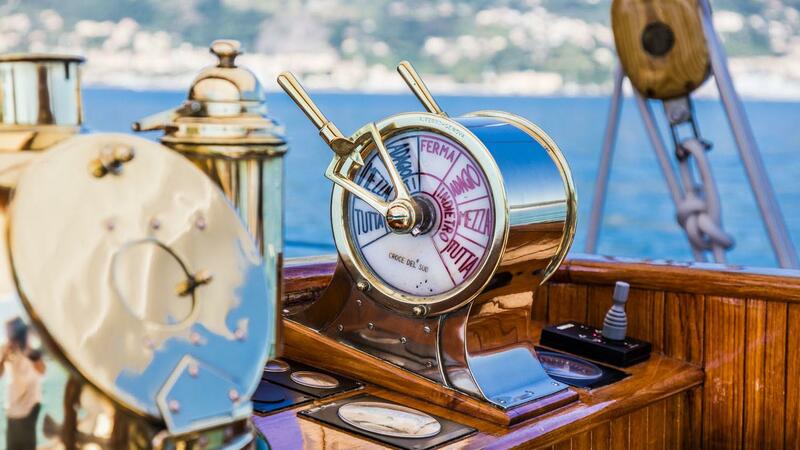 "Being in command of this gem is thrilling. 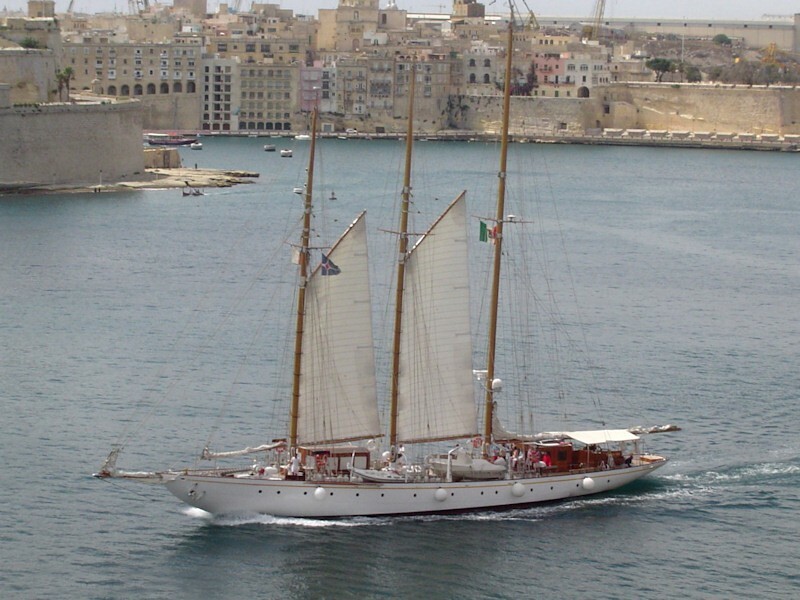 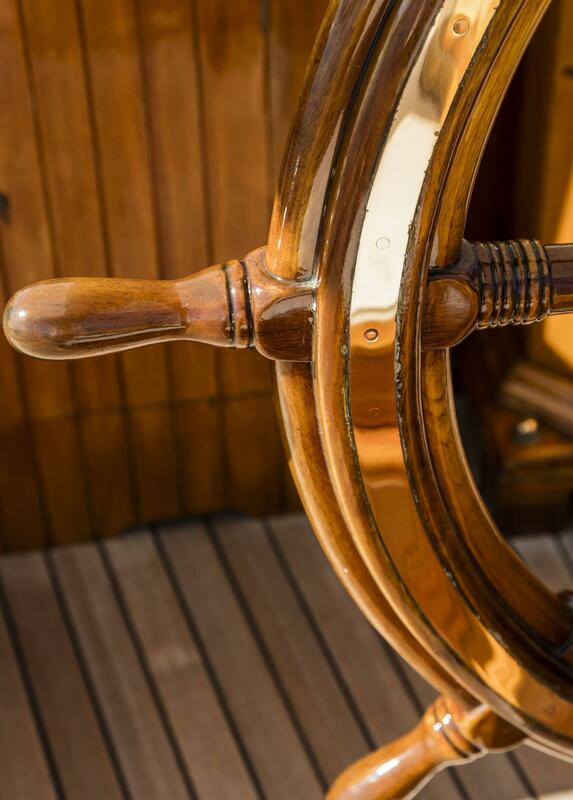 The old waterlines restored to their original purity together with the masts and yards, which are still those of the launch, are merged with the technology and efficiency of the onboard instrumentation, which can be expected of a modern yacht". 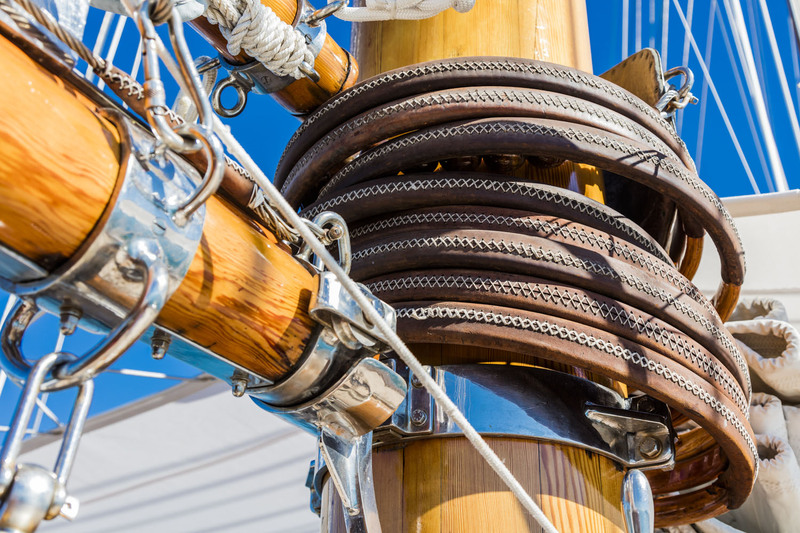 This restoration was possible thanks to the 40.000 hours of work, from September 2008 through July 2011, involving 7 production departments of the Amico Yard work in a hangar of almost 10,000 square feet on the hull, the deck, the electrical wiring, the galley, the engines and the masts and yards of the schooner. 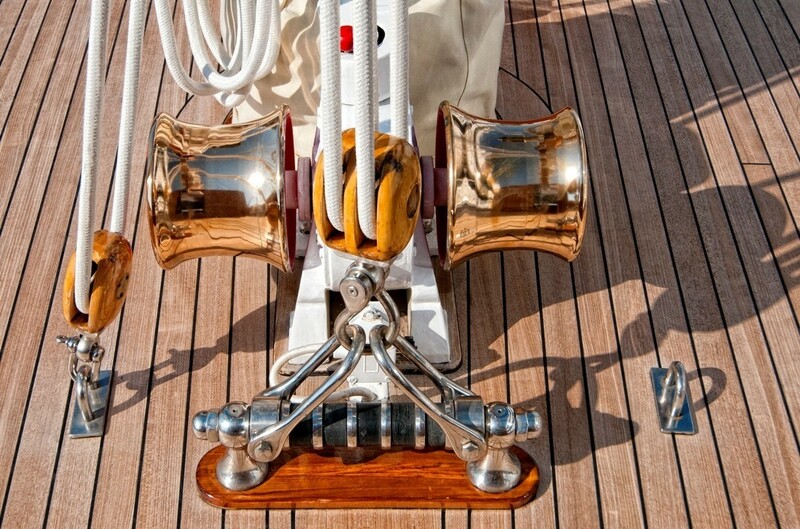 With a difficult, but stimulating task: conservation and restoration that did not betray any of the original features of the boat and at the same time make it an efficient yacht, with today's safety standards, enjoyable to handle and comfortable for cruising for (at least) the next 20 years. 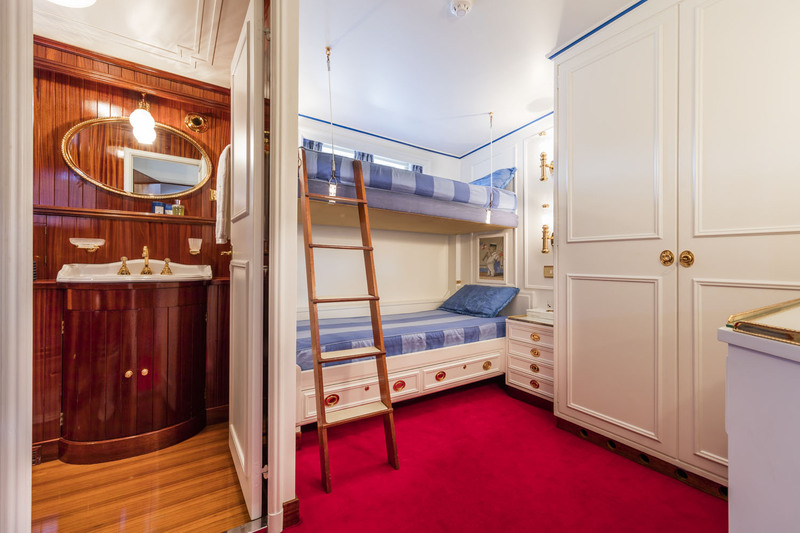 CROCE DEL SUD offers accommodation in 4 double cabins with the ability to convert to 2 singles beds and one twin cabin, with side by side twin beds. 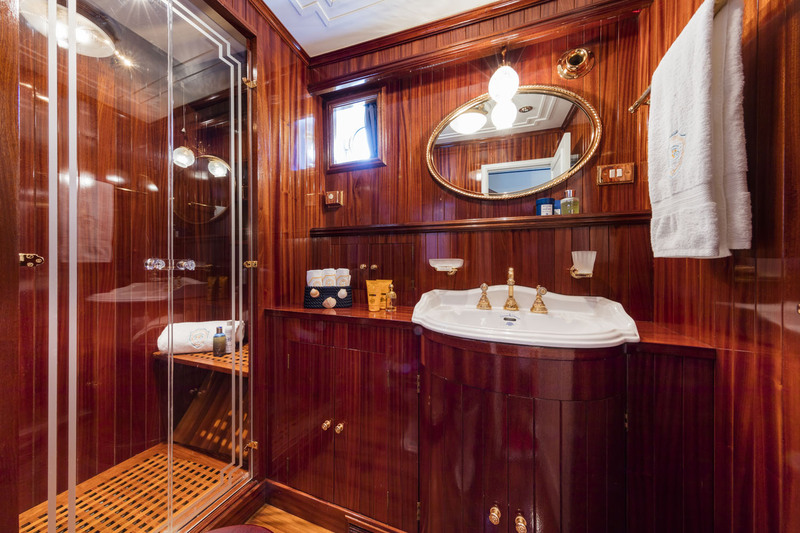 The twin cabin offers an en-suite bathroom with shower, 2 double cabins each have an en-suite with shower, while 2 further double cabins have shared facilities. 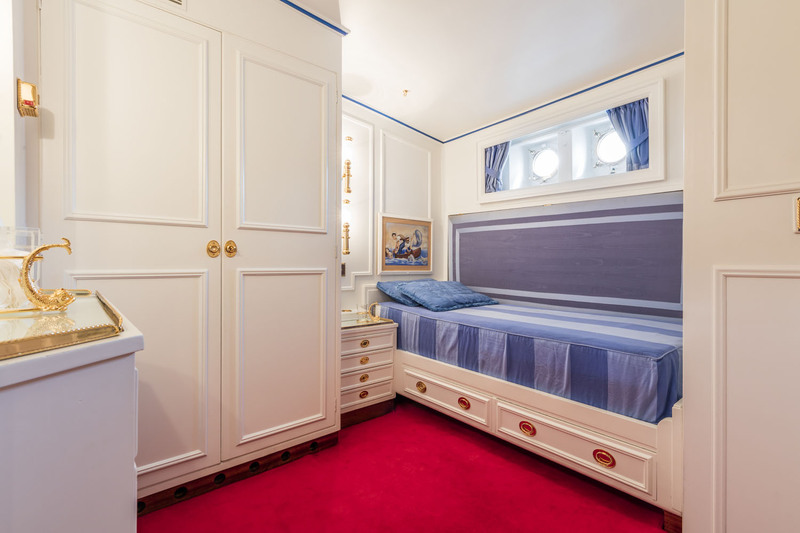 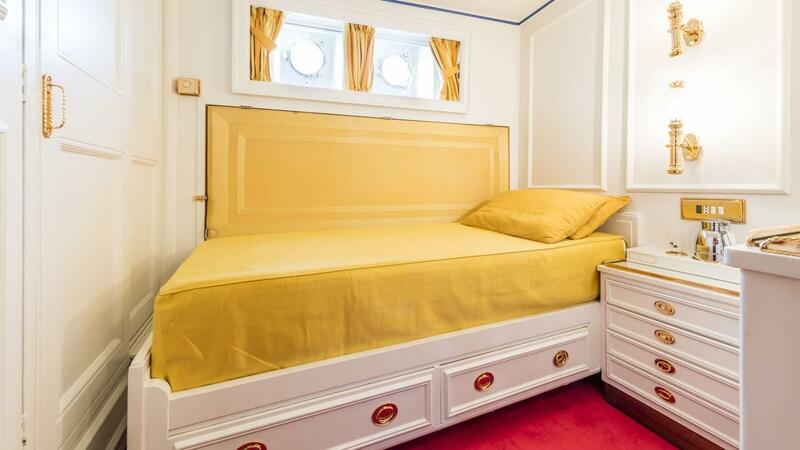 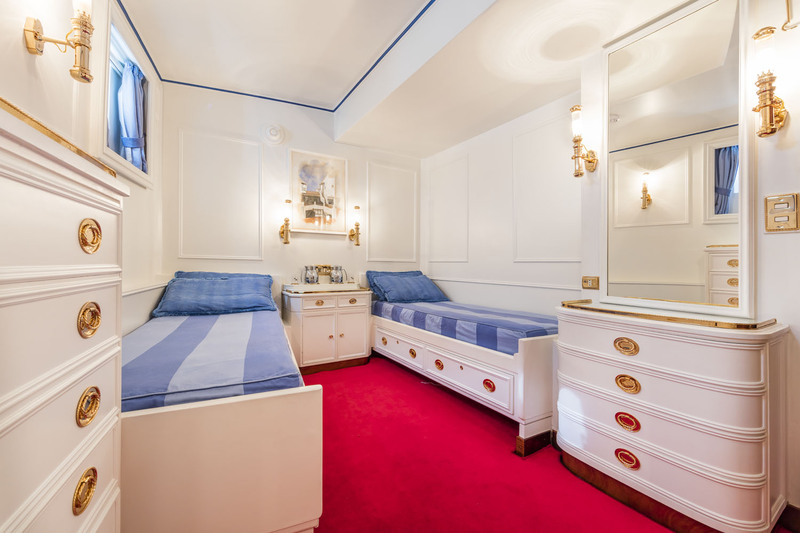 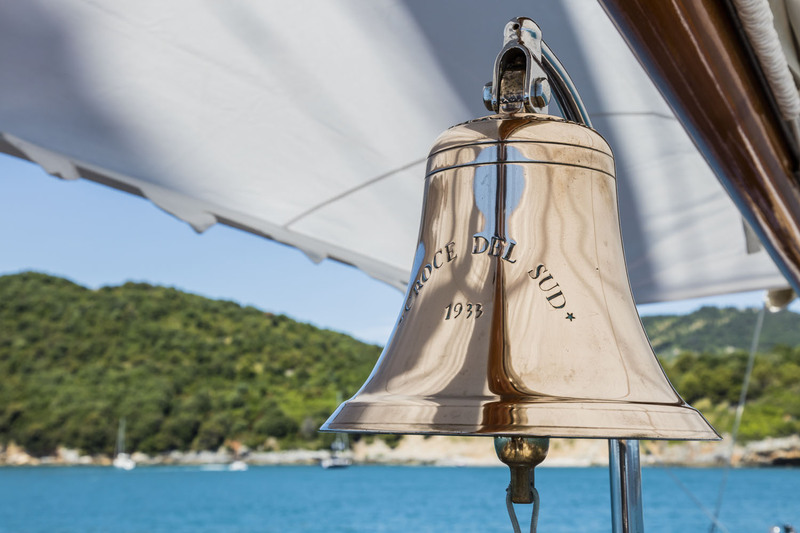 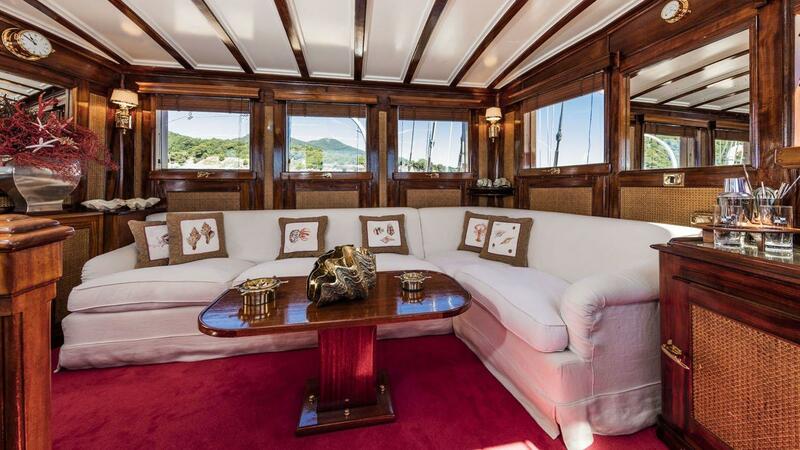 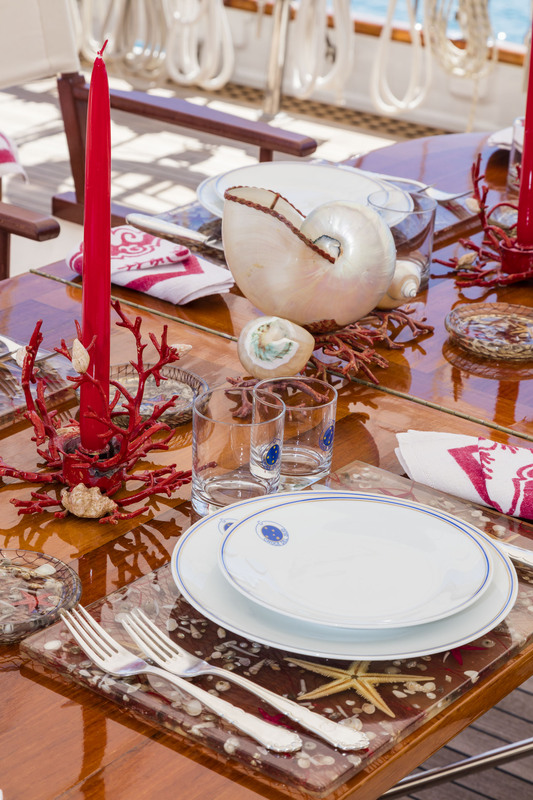 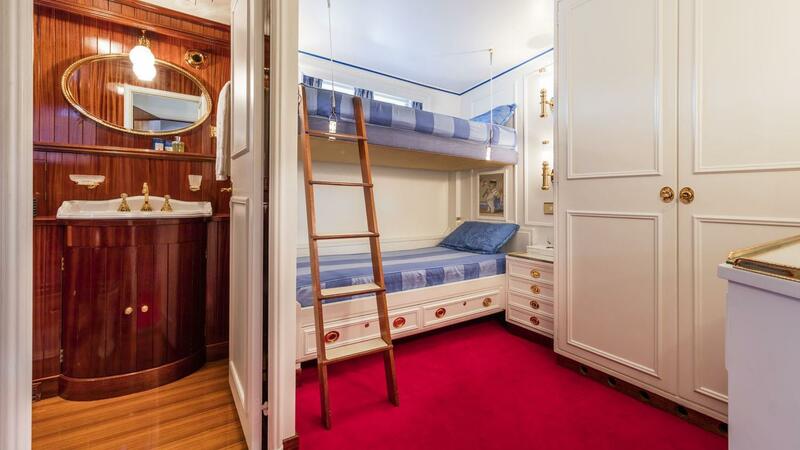 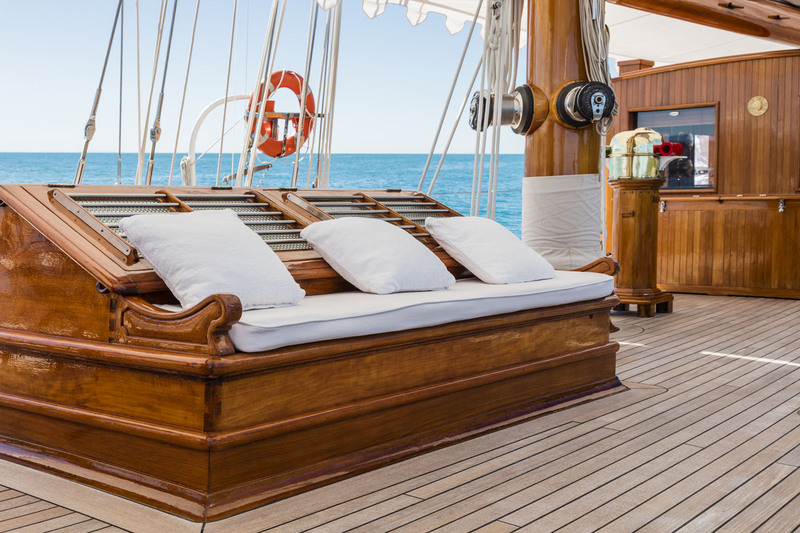 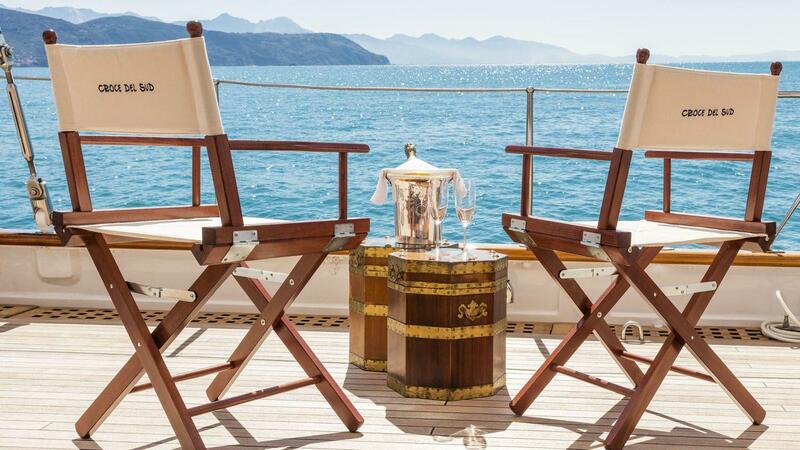 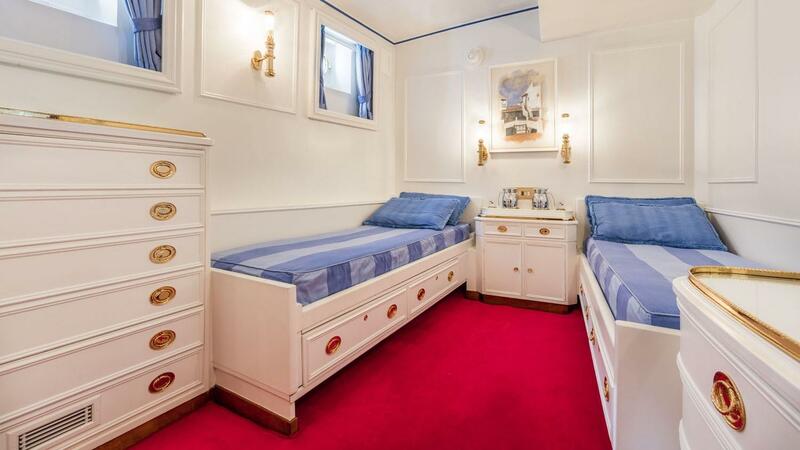 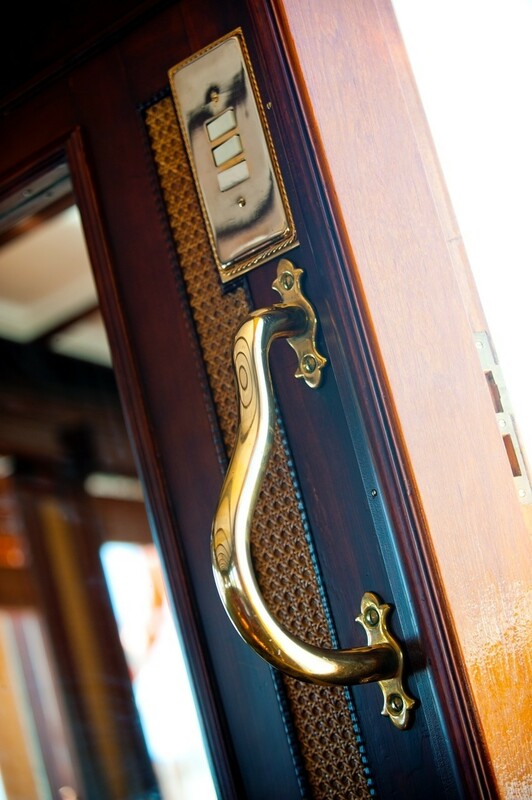 S/Y CROCE DEL SUD is fully air conditioned throughout her interiors. 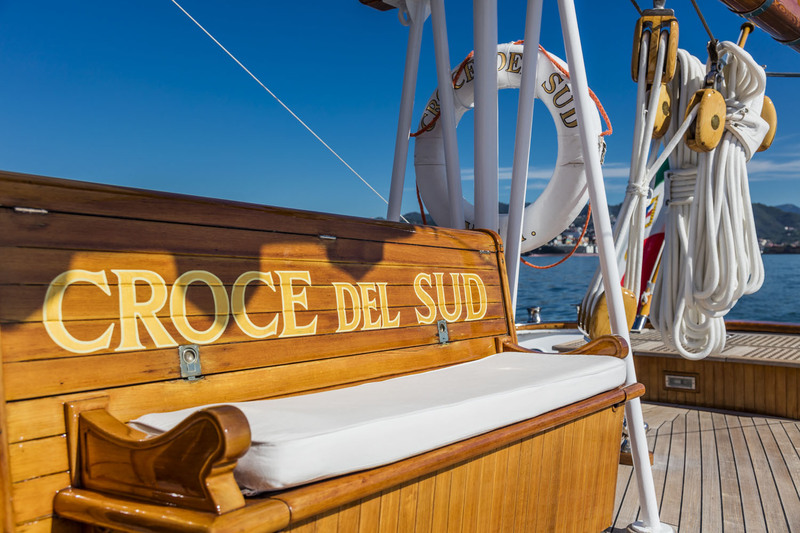 Tenders & Toys onboard the CROCE DEL SUD classic yacht include snorkelling, 1 Boston Whaler 90 hp, 1 Novamarine tender 4 m, 1 donut, Audio Visual Equipment and Deck Facilities include Sky TV in the saloon, DVD.